Ask fellow campers about "Cane Creek State Park" and nearby attractions. Friendly office staff greeted us on arrival. It was a cold, wet, winter day with few people in the park. But a ranger drove the campground to come back and tell us which site would give us the best lake view, and they changed our site for us. The campground area is not huge. 29 sites spaced well with a bath house in the center. All the sites are quite level. A few have a tree or two near the parking pad, so placement might need to be considered for slides/awnings, but they are all long enough to be able to place your rig where needed. All have water and 30 amp and some near the front have 50 amp. No sewer connections, but there is a clean dump station near the visitor center as you are exiting the park. The bath house is well kept. It was always clean during our stay. Water pressure was good and plenty of hot water for multiple showers. 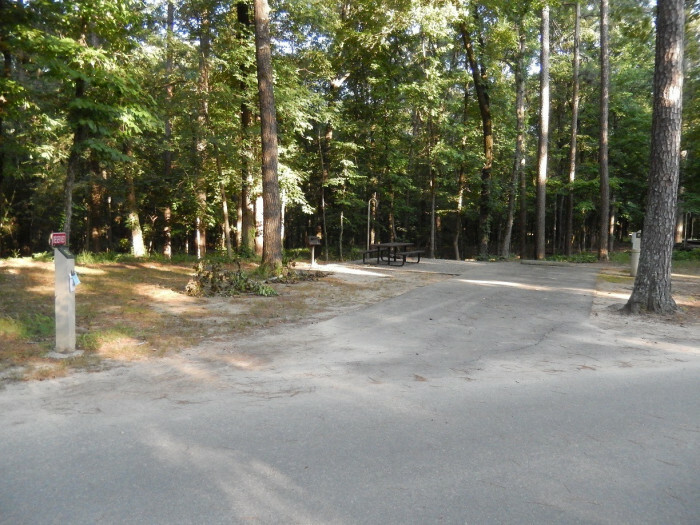 The park has a rental RV unit placed permanently on a site at the front of the campground. 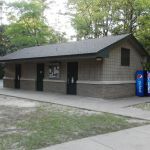 They also have 2 nice pavilions for rent in the park, a campground courtesy dock, boat launch, and a multi-use trail system. 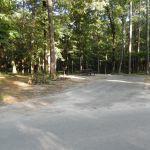 The trails and park picnic areas are as well maintained as the campground. We stayed here 4 days in a motorhome, and we are looking forward to returning when the weather is warmer for kayaking on the lake. Beautiful and well-maintained with excellent staff. #arkansasstateparks. We camped at Cane Creek State Park in a Motorhome. Bring a kayak or mountain bike...or hiking boots. They have well maintained multi-use trails through the park and around the lake. No motorized vehicles or horses...hiking and biking only. The also have bikes and kayaks to rent. Price reflects a 25% ($5) discount for seniors. Roads and sites are paved and were no problem for our 31' 5er. Site pads are level, completely shaded, lots of room between them, and have a gravel patio. Most are very long, too. Electric is good but water pressure is fairly low. The visitors center has ice and some fishing tackle and they have a bait shop (needless to say, the lake is good for fishing), but if you need supplies, get them before arriving here. There are trails to hike (up to 15 miles) and the VC rents road bikes & kayaks and has a boat ramp (and a separate dock for campers at the CG). The park has a ranger that leads a kayak tour at sunrise or sunset. Staff is great. They have recycle receptacles for aluminum & plastic. VzW is OK. There is WiFi if you are at the visitors center or near the restrooms. 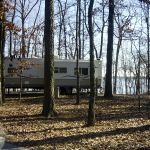 We camped at Cane Creek State Park in a Fifth Wheel. Sites along the lake have some view of the lake thru the forest. This park is a little out of the way if traveling through the area but I thought it was well worth the detour. The campsites are well-spaced with plenty of shade and some nice views. There's a lake there which is pretty scenic. We did not use any of the hiking trails. A walk around the campground loop was pleasant I was able to receive some OTA TV channels and my T-Mobile phones worked okay. We camped at Cane Creek State Park in a Travel Trailer. We had the pleasure of staying at this park June 30th- July 11th. Back story... We drove up in our 2002 Holiday Rambler 38.5 ft motorhome from South Texas. First long distance voyage in a long while. We made it this park and after registering, our rv wouldn't get out of gear. The staff was very helpful and extremely nice. They went far beyond the call of duty to help up and make us feel at home. I can't say enough about how nice they are. 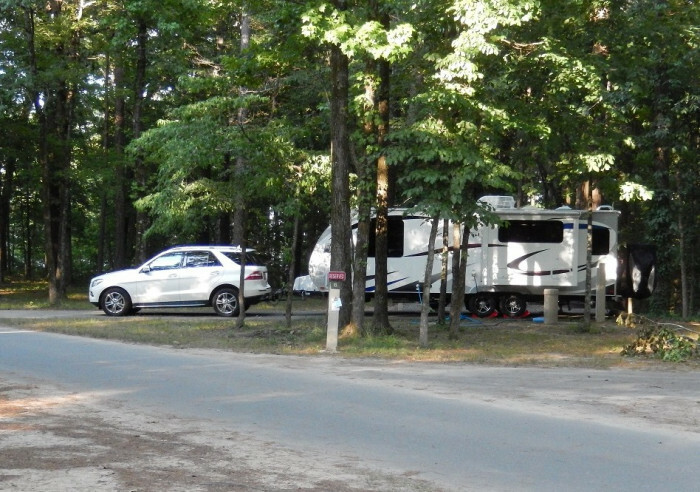 We ended up getting our motorhome fixed by a local auto repair business settled into a gorgeous camp site (#4). There are plenty of them around this camp. In fact, taking our daily walks we took in the sites and sounds of the camp. Its is so relaxing and so easy to enjoy. Portable Satellite dish is recommended and AT&T services is a little iffy in spots. After over 30 years of camping, we have never been to a park were the staff, employees and other campers have been so friendly and welcoming. We will be back every time we go thru Arkansas. This is our home away from home. Highly recommend this park. Special thanks to the office staff and Rangers. We will be back! 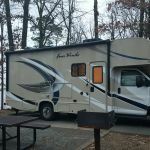 We camped at Cane Creek State Park in a Motorhome. Any RV work contact Fowler Auto Sales in Star City. 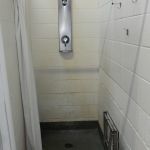 Make sure you dump waste before you get in as there is no sewer available on site. However there is a dump station right before you come into the rv park. Bring a portable satellite dish, service is a little hard to get if you are under the canopy of gorgeous trees. have fun! This was simply a stopover on our way to another destination, but we will be back. The scenery was beautiful. 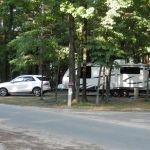 Although we are not necessarily into water sports, I can see that this would be an excellent destination campground for families, having rentals for water sports as well as biking. We camped at Cane Creek State Park in a Motorhome. Great park spacious campsites with lots of grass and trees around. 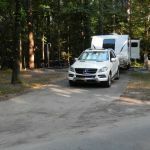 Long paved driveway electric and water hook up but no sewer system but dumpsite available close by We camped at Cane Creek State Park in a Travel Trailer. Love this park...one of our favorites. (It's only 60 miles from home.) 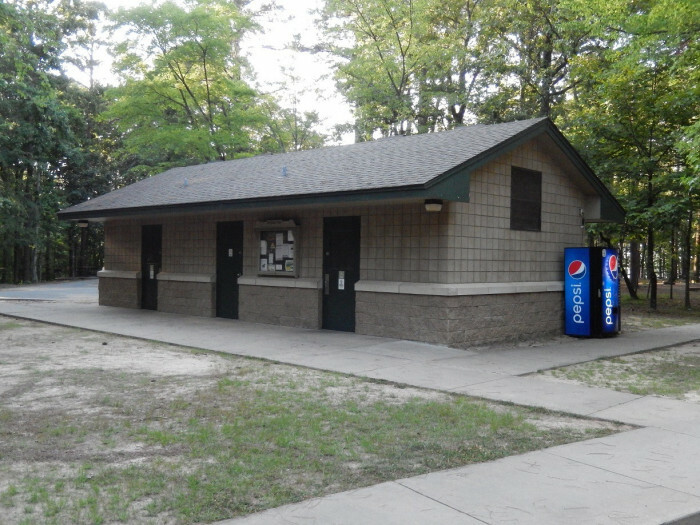 Great fishing (crappie, bream, bass, catfish) and great amenities. No sewer, but easy dump station. We've stayed here about 6 times total. Loved the full moon kayak tour last time. Great walking trails. Small camp, 30+ sites, but roomy and shaded. Our fifth wheel (40 ft) fit great. Arkansas State Parks are the best. 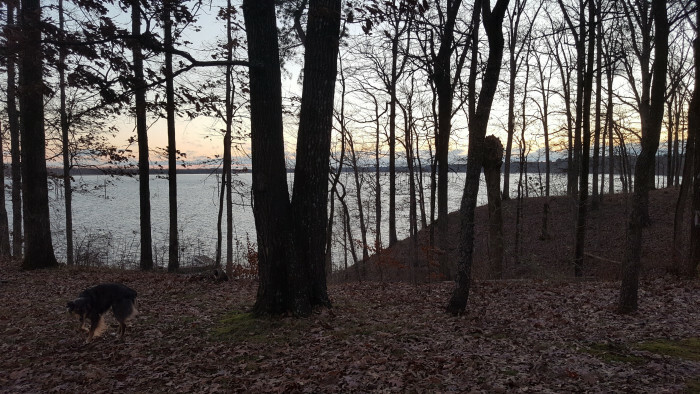 We camped at Cane Creek State Park in a Fifth Wheel. Full moon kayak tour by Park Interpreter was great. Every October the whole site it booked...people decorate for Halloween and give candy to trick-or-treaters. Bait shop, bike rentals, kayak rentals. 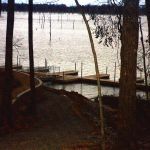 Camping Loop has fishing pier with stalls for boats. A very nice park. It was well maintained. Nice level sites with lots of shade. Park staff was friendly. We would stay here again. 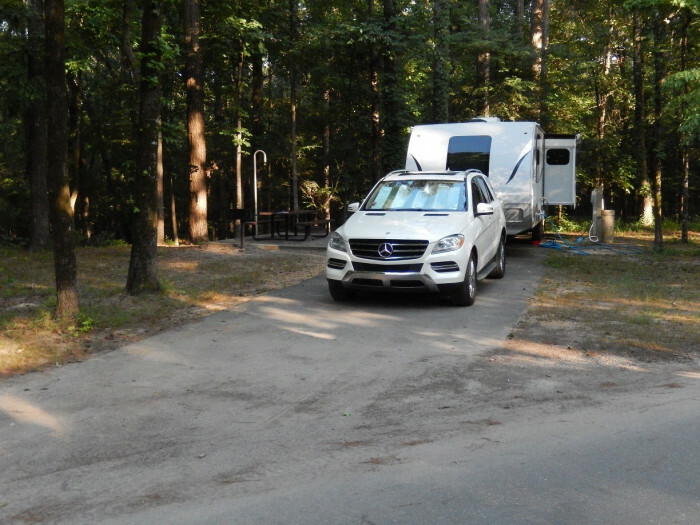 We camped at Cane Creek State Park in a Fifth Wheel. Great and beautiful state park, Glad we found it. Great setting with all the trees and nearby lake. Roxy helped get us settled into the perfect spot for our 45 ft M/H. Plenty of room for car in front and tow dolly along the side. TV reception was not greatest, but AT&T wifi was 4G LTE most of the time. Asphalt sites, 50 amp service. Good water (taste & pressure). Will definitely put this place on my return list! We camped at Cane Creek State Park in a Motorhome. Very nice state park. Sites are large and well separated. Restrooms are clean and fairly modern. We camped at Cane Creek State Park in a Travel Trailer. This is a very nice state park and we have camped here many times. The sites are large enough and some of them have a nice view of the water. We usually camp in the handicapped site, but this time were in #16 or 18. Nice tables, fire pit, and even pads to park on. 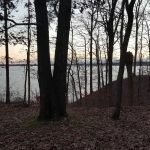 We camped at Cane Creek State Park in a Travel Trailer. 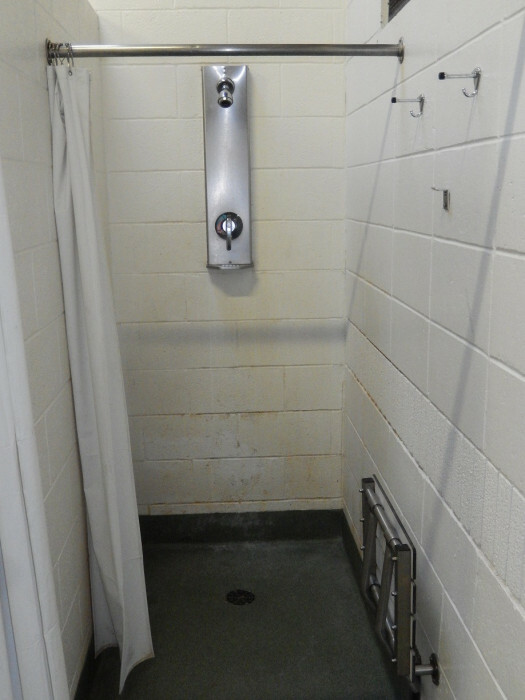 Very clean campground including the bath facilities. It's a beautiful park with lots of trees and our site had a great view of the lake. The sites range from quite large to rather small. 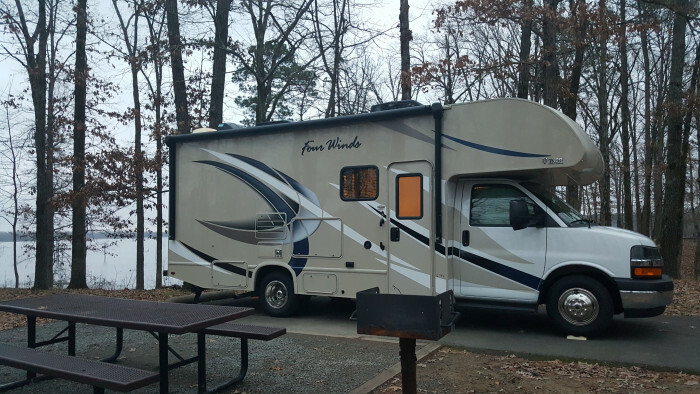 We camped at Cane Creek State Park in a Fifth Wheel. We visited the park during the winter so it was very quiet and mostly empty. There are a variety of sites but all are large enough for a 30 foot travel trailer with a slide. Some sites were huge and provide enough room for the largest rigs and provide space for parking more than one vehicle. All pads are asphalt, level, and back in type. The bathhouse was heated and clean. No sewer hookups so you have to use the dumpstation near the visitor center. Our site had 30 amp electric and water. The hiking trail is 2.5 miles long, well marked, and relatively easy to walk. The visitor center has an interesting wildlife display and some gift shop items but no real camping supplies other than ice. The employees I met were friendly and helpful. We camped at Cane Creek State Park in a Travel Trailer. Full moon kayak tour by Park Interpreter was great. Walking trails fantastic. 17+ miles Every October the whole site it booked...people decorate for Halloween and give candy to trick-or-treaters. Bait shop, bike rentals, kayak rentals. Camping Loop has fishing pier with stalls for boats. Nearby launching ramps. Are you affiliated with Cane Creek State Park ?